Plastic bags are commonly used for stashing cannabis because they are extremely inexpensive. The problem with the baggies you buy that are traditionally used for sandwiches, they are not scent proof. Not being able to contain the smell can be a huge issue for pot smokers, so they often double baggie their stash or carry in smell-proof containers in an effort to conceal their herbs. The problem with those bags is they allow air in and out, so no matter how many you try to use the air will eventually escape and dry out the herb. Smell proof bags for stashing cannabis are a better option, allowing the smell to stay in the bag while keeping your stash fresh. A lot of states have already legalized cannabis. Some of them legalized marijuana for medical purposes, and the others for recreation. Either way, as more and more states are opting for cannabis legalization, you need a right place to store and transport your marijuana. Any ordinary bag won’t work. Actually, it will – if you want everyone to be able to smell your weed from miles away. No, any stoner knows that he needs a smell proof storage place that won’t allow cannabis smell to leak out. Fortunately, with marijuana being more popular and, well, legalized in a lot of states, a few weed smell proof storage options emerged. Some people prefer smell proof containers, but there is some benefits smell proof bags offer, and containers don’t. Just one of those benefits is their elegance and design. Smell proof bags also come in different sizes which means that everyone can find one just for himself. The price of these bags can vary, depending on their size and features. Some of the cannabis smell proof bags have cushioning inside. This cushion’s intent is to prevent any marijuana smoking equipment and tools from getting damaged or broken while carried around. Before you go and buy just any marijuana smell proof bag, consider what will you be storing in them. Weed is not the only thing you can carry in your odor proof bag, but you already know that. Knowing what you will put in your bag is essential, and it determines whether you should purchase a smell proof bag or a smell proof baggie. Yeah, it’s not the same. These are two types of bags for stashing cannabis. The truth is that both of these bags work amazingly in terms of keeping the smell of your cannabis locked in. However, they have their pros and cons when it comes to stashing other marijuana stuff related, so you can say they have different purposes. Smell proof baggie looks like a typical Ziplock baggie. Usually, they come in packs of multiple bags. The multiple bags are quite useful for dividing different marijuana strains and taking them with you because you won’t have to worry about mixing them. Smell proof bags are larger than baggies, and you will find them quite helpful for different purposes. For example, once you put different strains in the smell proof baggies, you can put all these baggies in a smell proof bag. Now, that’s practical. 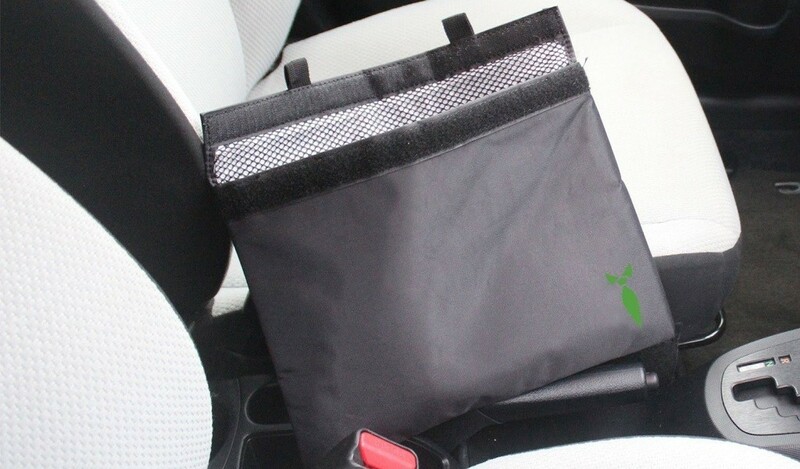 Cannabis smell proof bags are quite large, so there is plenty of room in them for storing your marijuana accessories. Just some of the things you can put in a smell proof bags are marijuana pipes, lighters, bowls, weed grinders, and everything else you need for your sesh. Most of the smell proof bags are lined with activated carbon. This allows cannabis smell to stay in the bag. If you accidentally don’t close the zipper all the way, don’t worry as your weed smells will still stay locked inside thanks to the activated carbon. 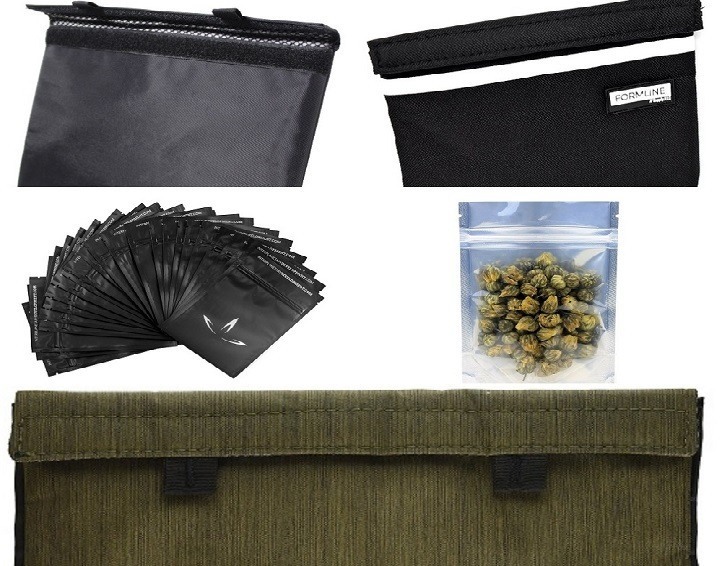 There are some crucial things you should consider before buying any bag for stashing cannabis. Although people usually buy plastic bags for storing their cannabis, it is not uncommon that they buy a bag made of thin material. If the material of your cannabis bag is not made with a thick fabric, the smell of your weed will leak through and everyone around you will know exactly what’s inside your stash bag. Besides checking if a stash bag is made of thick fabric, make sure that the bag uses carbon technology. Carbon technology uses carbon particles that filter out all the smells, absorbs and stores them away. That way, your weed smell can’t escape from the bag in any way. When you establish that stash bag is actually smell proof, you will want to check how long it will last. What’s the use of a smell proof bag that falls apart and stops containing smells after just a few weeks of using? Durable cannabis smell proof bags usually cost a few extra bucks, so if yours was cheap, it is likely that the material from which is made is low quality. The cheapest smell proof bag is the most expensive one in the end because you will have to buy a new one soon, and this will cost you a lot more in the long run. 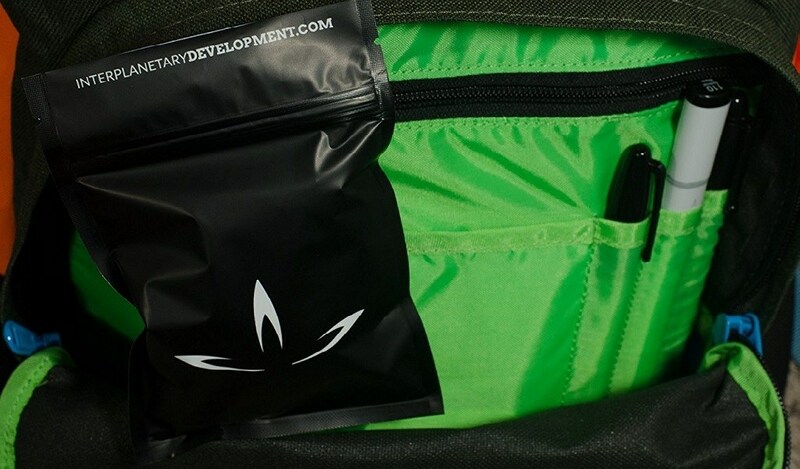 So, invest in a durable weed stash bag that won’t break, and that won’t let the odors leak out. Just imagine what would happen to your marijuana accessories and equipment if you put it in a cheap stash bag. It would probably get damaged, right? To avoid this, look for a durable smell proof bag that might cost a little more, but it will repay itself in the long run. Chances are you are going to store more than just weed in your smell proof bag. An important thing to look for in a stash bag, in that case, is cushioning. Foam cushions have shown to be particularly useful as they prevent your marijuana accessories from moving around the bag and breaking because of some massive impact. 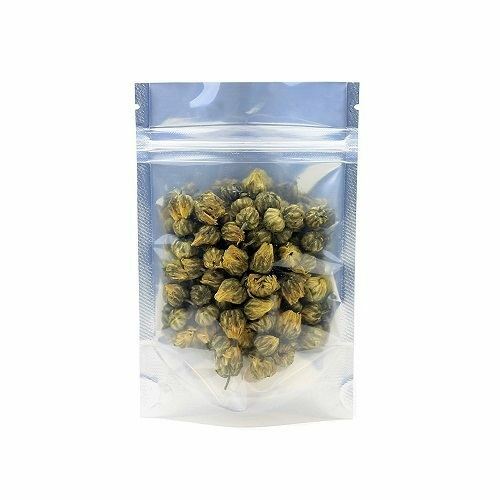 Marijuana smell proof bags come in various colors, sizes, and designs. Design and size come down to your personal preferences. Size, on the other hand, depends on the amount of weed and accessories you will put in it. Pick a larger stash bag if you are planning on carrying a lot of stuff in it. Also, check if a bag has pockets where you can keep your marijuana accessories to avoid them shuffling around inside the bag. Extra security never hurts. If you just want to ensure that no one snoops around and sneaks into your smell proof bag, choose the one that has a lock built. The good news is that there are a lot of smell proof bags that offer this feature. Locks can be sewn into the bag or come as a separate piece. You can set a combination on your lock and ensure that your cannabis is safe inside the bag. A lot of things. And you probably already know and carry some of those things, like marijuana pipes, bowls, and lighters. We’ve already mentioned them, but it doesn’t hurt to repeat. They are pretty compact and usually come in a dark color. That may no one will know what’s their content. Also, these baggies are heavy-duty, so you can rest assured that they won’t rip easily. This equipment is especially useful if you are traveling and want to smoke some weed on the go. Savarettes are actually a piece of plastic in which you can leave your joint when you want to save it for later. Here is something you probably already have stored in your smell proof bag. 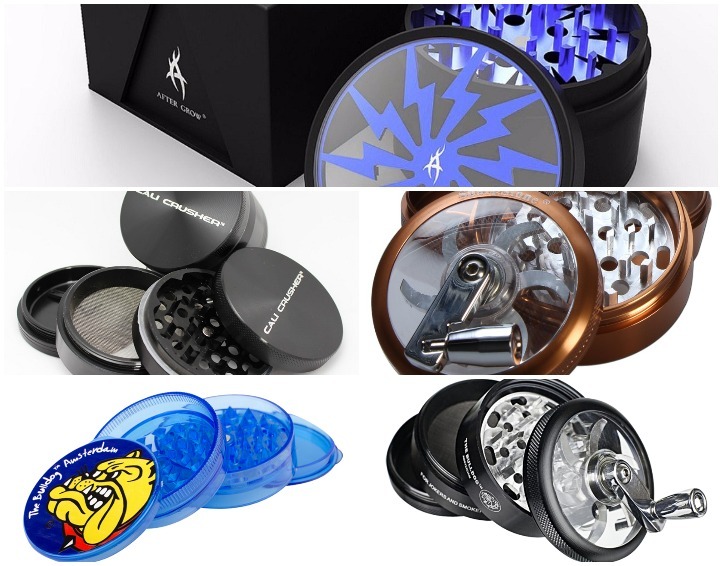 Weed grinders are something you can’t afford not to put in your bag. They come in all shapes and sizes, so you don’t really have an excuse for not putting it into your bag. Find the one grinder that meets your needs and your smell proof bag, and you will always have a freshly grounded weed by your side. The best way to keep your weed fresh is to hold it in a jar. Jars meant for keeping your weed fresh have a specially designed lid. This lid has multiple functions, like preventing cannabis smell from escaping or preventing moisture from seeping. If this happens, the moisture will ruin your cannabis. Weed keeping jars usually come in a pack of six and are small enough to be kept in a smell proof bag. Give the following odor proof bags a try and you will forget all about those cheap resealable plastic baggies you have been using. Most odor proof bags don’t fully cover the weed smell. This one does. With 11 x 9 inches, it is large enough for storing your stash and all your smoking accessories like rolling papers, weed grinder, rolling tray, pipes and other. It has a double velcro seal and a carbon lining, so you can be sure that no smell will escape the bag. The fact that it looks just like an ordinary bag will ensure that nobody suspects about what’s inside of it. After you purchase this bag, you can relax for quite some time because you won’t need a new one any time soon. It is very durable and won’t get damaged that easy even if it rumbles in your backpack the whole day. One thing that stoners always like to see in a bag that masks the weed smell is enough storage space for their stash and other stuff marijuana related. However, they don’t want some strange looking, extra large bag that they won’t be able to carry around. 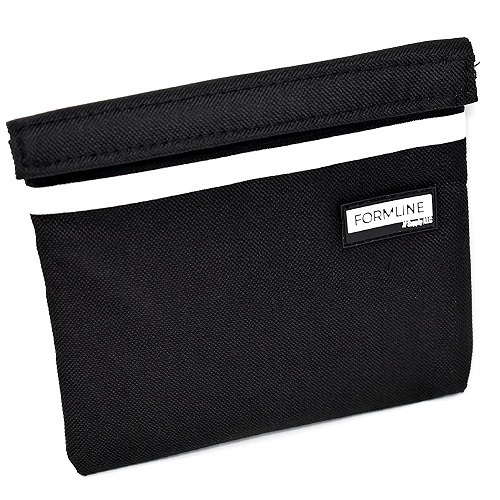 Well, Formline’s product has it both, and it offers the perfect balance between storage and portability. A convenient rubber badge logo thumb grip is also there, so you don’t have to worry that the bag will slip from your hands. 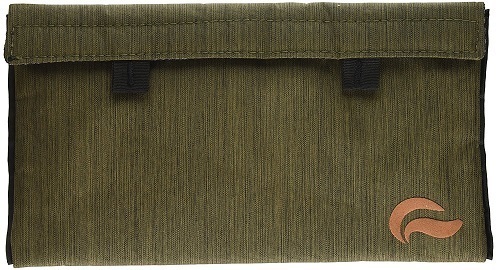 It has a mesh divider pocket for all those small marijuana accessories. The fabric is very durable, and it has activated carbon lining that will not only lock in weed smell but also keep your stash fresh. Dual velcro closure makes it easy to seal and reseal the bag quickly. From 2.5 x 7.25 inches to 12 x 16 inches, there are five sizes of these bags available. 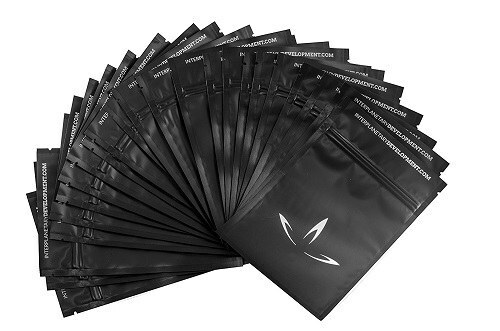 The best of all is that you get not one or two, but 25 smell proof bags for the price. Compared to other similar products, this product is a bargain deal. First three sizes come at a price of $9.97 and the second two are $12.50. The bags are made of premium materials which makes them durable, and also tears, punctures, and moisture resistant. Heavy-duty zipper provides a strong seal that ensures that all the odors actually stay locked inside. As an extra layer of protection, when paired with an impulse sealer or food saver device, the bags can easily seal completely. What more can you ask for? Being white on the back and transparent in the front, this foil zipper pouch bag is not for everyone. At least it’s not for those who are planning to carry their smell proof bag on plain sight for everyone to see it. However, if you are going to store it in your backpack, then you will like what it has to offer. First, you get to choose from seven sizes, depending on how much weed you want to carry in it. The bag has a zipper to ensure airtight sealing and that all the smells stay inside. It is also heat sealable with impulse sealer and because of the notch is extremely easy to open. Multilayer thick barrier material is there to protect your weed from moisture and odor. 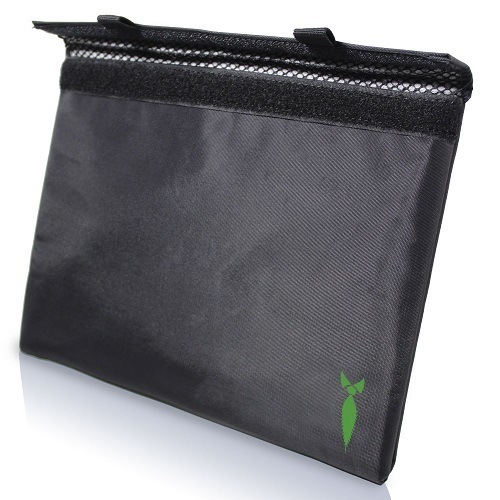 From the outside Skunk’s weed odor proof bags look just like any other fancy pencil bag. From the inside, they are large enough to allow you to store your stash, and your smoking accessories too. Double velcro enclosure is very secure and reliable. Once you close the bag, the activated carbon technology traps the smells inside, and activated carbon particles neutralize them completely. You can be sure that not even police dogs will be able to smell what’s inside. Also, it comes in two sizes so you can choose the one that fits your needs. And if the design and color are important to you, there are six different ones you can pick from. There are quite a few things you can do to smell proof your bags to resist the cannabis smell. However, keep in mind that home remedies usually only minimize weed smell, they can’t eliminate it entirely because it has a strong smell. 1. Place a few unused tea bags in your bag. Tea bags are the most likely to mask your cannabis odor. 2. Put a dryer sheet into the bag. This will help in making your bag smell proof, but you have to replace it after a couple of days, or it won’t be that effective. 3. Expose the bag you are storing marijuana in some fresh air now and then. This way, the smell of cannabis that your bag has absorbed will vanish. 4. Add a few drops of white vinegar when you wash the bag you usually keep marijuana in. Once again, keep in mind that all these tricks will just mask weed smell, not remove it. The best way to ensure that nobody can smell your cannabis is to stash it in a smell proof bag. Smoking vs. Vaping: Comprehensive Guide To Answer You Which is Better? Surprising Facts About THC (Tetrahydrocannabinol) – What Is It and Where Is It Used For?